Herefordshire Wildlife Trust, working in partnership with Coningsby Children’s Centre are supporting vulnerable Herefordshire families (many living in areas in the top 10% and 20% highest deprivation in the UK). The children (aged under five) taking part, have been identified as having delayed development. 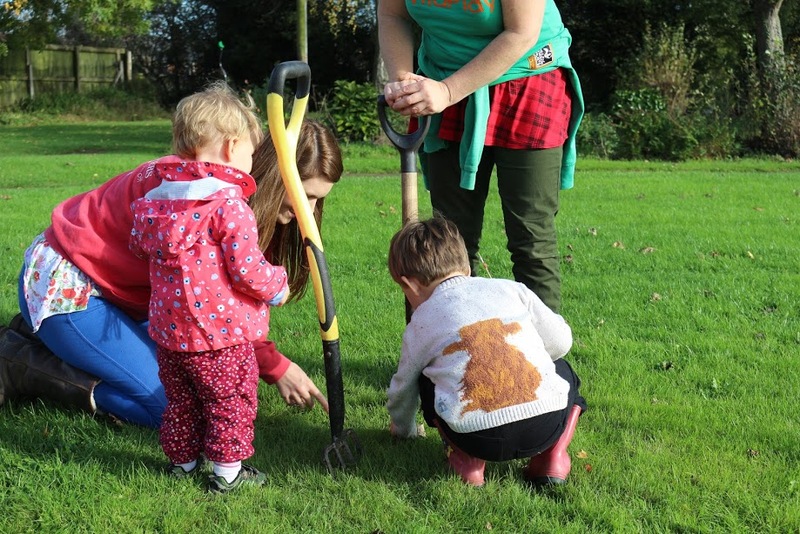 This project includes Nature Tots sessions for children under five and their parents, held at Queenswood Country Park. Parents attending, have also been able to take part in training on understanding the importance of play. 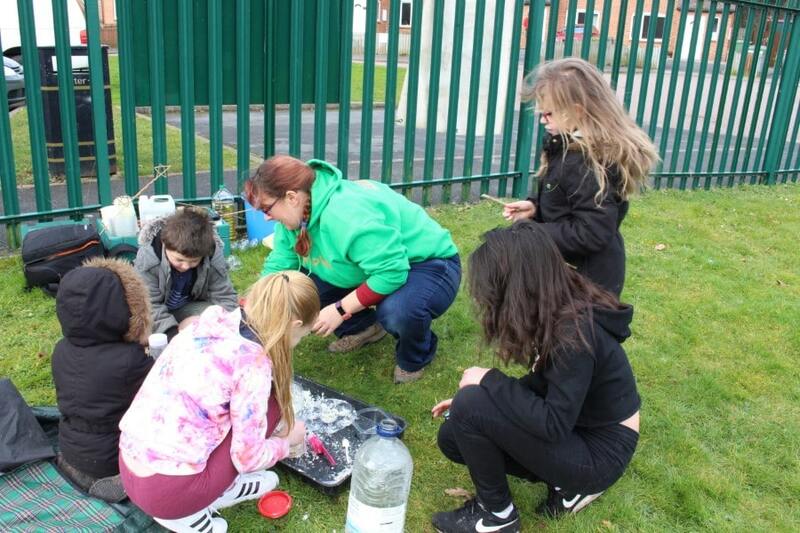 During school holidays, WildPlay staff have run outreach sessions held in residential parks and green spaces in and around Leominster for children aged 2 – 12 and their families. 1) Increased levels of development in children under the age of five. To improve physical ability and educational development in children through fun outdoor activities. Assessments have shown an average of a six-month development ‘jump’ improvement in 80% in the children’s (children aged 2-4 years) physical development. This is not just because of our sessions, but because we have encouraged families to be more active at home in-between attending and to make healthier life style choices. 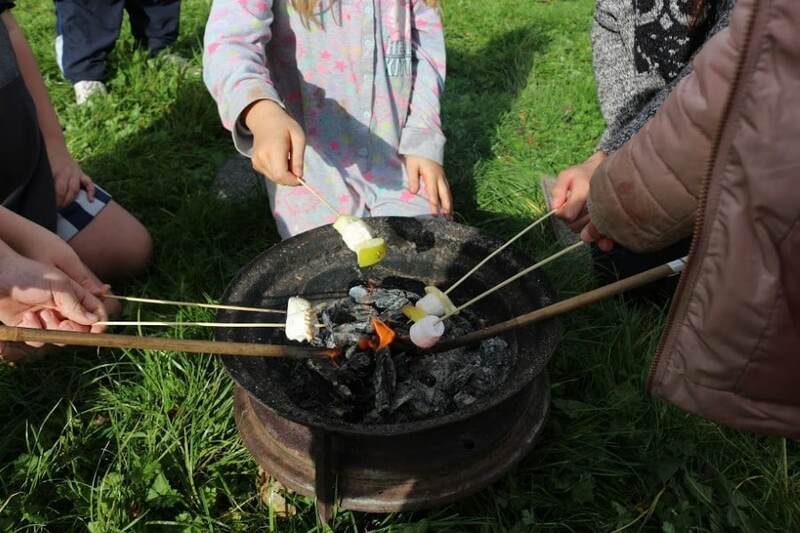 This started with role modelling healthy snacks at sessions and cooking on the campfire. This has promoted and sparked much discussion around healthy eating supporting physical development. As well as both fine and gross motor movements we have seen improvements in co-ordination and negotiation of play spaces, confidence and willingness to tackle new terrains. From pincer grips, using pegs to collect wool worms hidden in the woodlands to climbing and navigating around stumps, over hills, moving and picking up sticks to building dens. Even on the coldest of days we had families walking, running and discovering the woodlands. Speech and language; we have seen a three-month development ‘jump’ in 70% of children. Parents reporting the increased use of words relating to plants, animals, insects, natural materials, position, size and colour. Listening skills have also been greatly improved at story time. At the start, only 20% of the children were able to listen to 50% of the story. Now 75% of the children can listen to 100% of the story. An introduction to a regular story time was completely new for 20% of these children. 60% said their children wanted to play outside more. 90% said their children were taking more interest in nature. 60% of families felt encouraged to make healthier lifestyle choices, through food, exercise and fresh air. 100% of parents and children have been more active outside. 50% strongly agree and the other 50% agree, they have seen a definite improvement in their overall health. 80% said that spending time outdoors has resulted in less GP visits. 3) Participants report reduced feelings of isolation and are more connected and part of their community. 50% of the group reported that they felt less isolated because of joining the group. The other 50% of the group reported that they made new friends. This reduced isolation for parents, can also be seen in lessons learnt above in learning and links. With parents creating a network within the group and meeting outside.